P.S. : On Tuesday, 7th December there will be second worldwide Linchpins are everywhere meet up. I will be waiting for Linchpins from Slovakia at 6,30PM in Groteska Cafe, in Poprad. I would love to see you, there. I can hear your loud shouts, Martinka. Keep on investing in books! Yeap, bookcrossing is a neat idea. I believe books and its wisdom should be shared. I like to buy books to my personal library. I read them and then the second time I study them. I like to return to some books when I now the book can help me in solving some particular case. I also boroving books to people around. Mino, welcome welcome to #IS, glad to see you here! I borrow as often as I can from the local library and from the Innovation Library at the Regional Development Authority. If they don’t have a book, I buy it, read it, then give it to them. 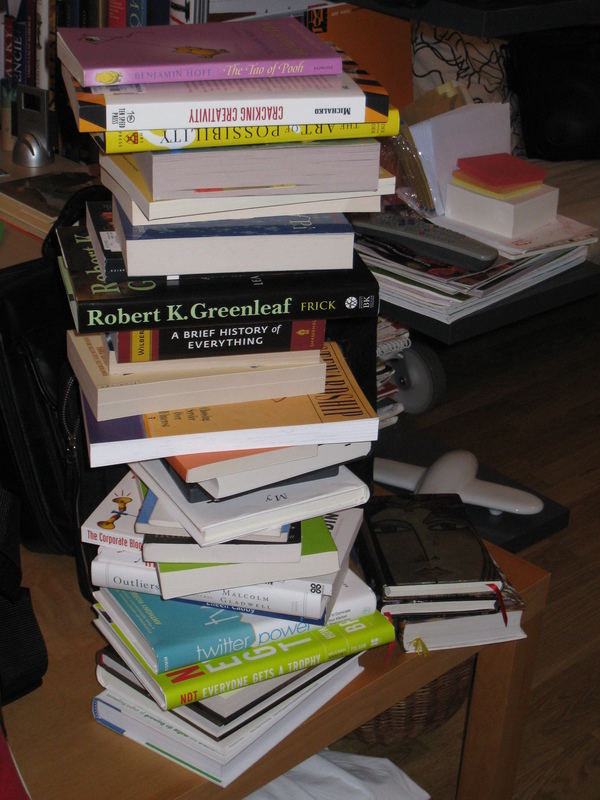 That way, I don’t have to store them, more people around me read them and if I want to read them again, I know where they are. My favourite thing in the word is when I get a surprise book in the mail. That happened a few times this year. It’s better than Christmas! Awesome, I simply love your “book policy”. Giving books away to your local library. I wish more people would be set on this kind of generosity approach. And again it proves: you only get what you give, by the fact that you are getting surprised by books in the mail. Some books I just have to have.. I buy them and I keep them. Some books get outdated after a certain time, I buy them and sometimes I get a newer version. Great to know about your book policy, too. LOL, please keep some space for you indeed. Loving, the give away part! As a voracious reader who spends 2-5% of net income on books, i live in a pile of books, in general I dont lend my books, as they tend to spoil relationships. After reading them it takes one of the the various pathways. Some which I would like I would like to keep remains with me. Sometimes I already know folks who would enjoy the books than I would, so those books get tagged with thier names and would be shipped to them when i get a chance. Sometimes I find people who would benefit from the book more than I could if so I give it to them. Another policy I have is to recommend and give books as presents. The pick is customized to the receiver. I also take lots of recommendations from others. Same story with music; I buy cd’s still (lots of them). I sometimes download movies since I usually watch them once only. What is your policy with respect to movies?? Oh, my I need a clone or something to read them all. As you might be aware about my movies policy, I do download movies and when I really love it and tag it as must watch I buy a DVD. Wow there is a snow falling here on blog 🙂 How did you do that?? So my book policy..I am buying the books, and sometimes borrowing from library or from someone else, but it’s like 90:10 ratio. I have just realized yesterday that I have filled another shelf 🙂 Then I have special “books to read” shelf right above me, where I have books lined up in order in which I will read them. When there is just one book I know it is time to buy new ones, or borrow. I buy them. And if they are good enough, or if they can change someones life, I give them to that person or I buy a copy for them.